For best results, we recommend taking 2 capsules before bedtime. Does Praventac™ treat only facial acne? No, Praventac™ is effective for facial as well as body acne. Would there be any side effect if I stop taking Praventac™? No, you will not experience any side effect when you stop taking Praventac™. Where does Praventac™ originate from? Do I still need to watch my diet while I’m taking Praventac™? Generally, if a person maintains a healthy diet since a young age, they tend to stay healthy and maintain a youthful appearance if compared to those who do not. However, this might also differ based on biologically determined factors of different individuals. Some people might binge on fried/spicy/oily food more yet still maintain good complexion. If you do not belong to this category, then it is advisable that you cut down on overly stimulating foods to avoid aggravating your skin problems and interrupting its healing process. Can Praventac™ reduce my acne scars? Yes, Praventac™ can reduce acne scars as it repairs damaged skin cells. Is Praventac™ safe for pregnant women and breastfeeding mothers? Praventac™ is not recommended for pregnant women and breastfeeding mothers. Is Praventac™ safe for those who are preparing for pregnancy? Unlike most acne products that might affect one’s chances of getting pregnant, Praventac™ is safe for those who plan to conceive. Praventac™ is specifically for treating problematic skin, like acne, pimples, blemishes, acne scars and black/whiteheads. 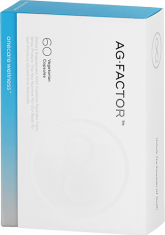 While Ag-Factor™ is for anti-aging and skin brightening as well as to enhance the immune system and detox blood in the liver. For some customers, we would recommend that they take Praventac™ together with Ag-Factor™to achieve faster and better results. This is because clean blood results in beautiful skin. So while Praventac™ is repairing the skin and damaged skin cells, Ag-Factor™ can accelerate and elevate the effect by detoxifying blood as well as enhancing many other supporting functions to give you the smooth radiant skin that you’ve always wanted. Is Praventac™ effective in combating hormonal acne? Hormone associated acne is caused by hormonal imbalance. 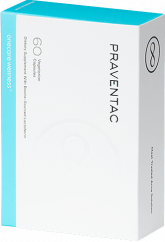 Praventac™ is not formulated to treat hormone induced acne specifically. It does however, effectively limit the growth of acne bacteria to reduce blemishes and repair acne-damaged skin cells. 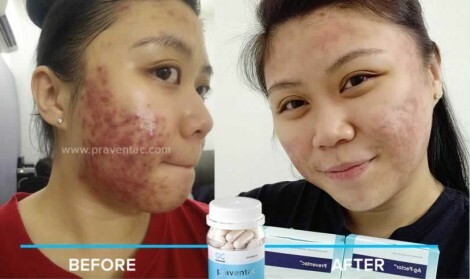 Therefore, we highly recommend this group of customers to combine Praventac™ with Ag-Factor™, to counter the sources of acne both inside and out. How soon will I begin to see improvement on my skin? 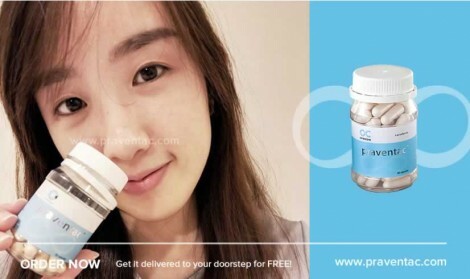 By taking 2 capsules of Praventac™ every night before bedtime as recommended, you should begin to see significant improvements within 2~4 weeks. Results come gradually as Praventac™ is a natural product. Results may vary depending on physiological and biological factors. Some customers may need longer time before achieving the desired results. Will I be completely acne free afterwards? Even products which contain many harmful synthetic ingredients may not guarantee a completely acne-free skin. However, our clinical trials has shown that the natural ingredients of Praventac™ allows customers to see a significant reduction in acne or other related skin problem for a substantially longer period of time. 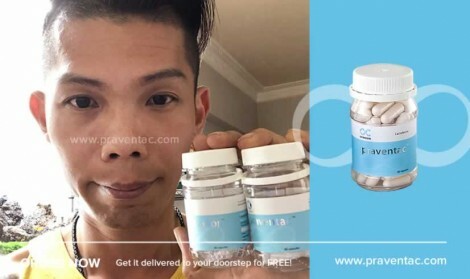 Are there any age or gender restriction for taking Praventac™? Praventac™ is proven to be safe for people of any gender, aged 11 - 50. 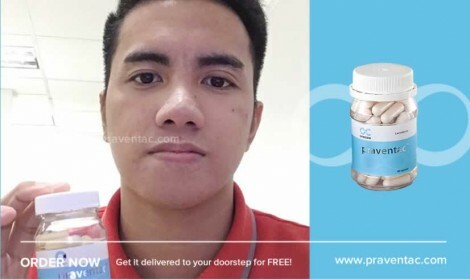 Will Praventac™ cause my skin to breakout more after consumption? Only 3% of our customers may have experience signs of breakout after taking Praventac™. However, this is just a common effect of the detoxification process and will clear up after 2-3 weeks, leaving your skin noticeably clearer and improved. Will Praventac™ cause burden to the kidney and liver? Not, Praventac™ won’t burden the kidney and liver because it is not a medicine. Praventac™ consists of very fine molecule that can be directly absorbed by the body. Is Praventac™ safe for long term consumption? 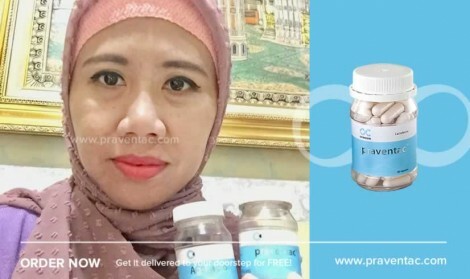 Yes, Praventac™ is definitely safe for long term consumption; although most of our customers get satisfying results after 2-4 month, they continue to take Praventac™ to enhance their complexion as well as reaping all the other extra benefits that it brings. Can I still use skincare products while taking Praventac™? Yes, it is perfectly safe to keep using your preferred skincare products while taking Praventac™ as long as you avoid products with high chemical content and harsh ingredients that might actually further aggravate blemishes and worsen your skin problem. Always choose products with natural properties such as Acneminus® that is effective, yet does not irritate or harm your skin. It will appear as either PayPal or Oncare Wellness. Praventac™ is 100% safe for consumption. Praventac is a product of European technology and consist of natural key ingredients such as whey protein (cysteine peptides) approved by the US FDA as GRAS (Generally Recognised as Safe). 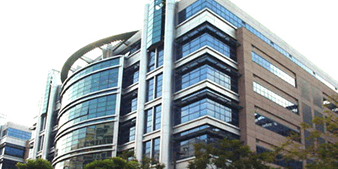 Praventac™ is packaged in Malaysia by GMP (Good Manufacturing Practice) approved factory. My doctor prescribed doxycycline antibiotic. I’ve read that Praventec™ contains lactoferrin which could interact with the antibiotics. Should I be concerned? Doxycycline or any other form of antibiotics that are prescribed as acne treatment are known for their numerous side effects that may be health-hazardous (affect liver and kidney, etc.) and may not be a long term solution for acne and other skin problems. Therefore, we strongly recommend that customers try our natural acne solution first and only use antibiotics as a last resort. You may want to try taking Praventac™ for 3 to 6 months before resorting to strong harmful drugs like doxycycline. You may also pair Praventac™ with Ag-Factor™ for an even faster and more potent result. We strongly advise against taking Praventac™ along with prescription drugs as not only might it affect the effectiveness of its active natural ingredients, it will also disallow you from determining which works best for your skin problem. As for the possible drug interaction, only a very small number of cases has been reported between doxycycline and lactoferrin, and it is normally regarded as safe unless both are taken together on a long term basis. However, if you are determined to overlap the two courses of treatment, you may want to consult with your physician for a thorough evaluation prior to doing so. What is the difference between Praventac™ and other Lactoferrin products out there? There is a significant difference between Praventac™ and other Lactoferrin products available in the market. Namely,Praventac™ uses only the finest and safest Lactoferrin available in the market,meaning you are able to reap the full benefit of the highest grade of this acne fighting ingredient. The usage of Lactoferrin in Praventac™ is also meticulously precise to ensure the most prominent result that it can offer,without causing treatment-induced breakouts. Plus,Praventac™ incorporates only the best of natural ingredients to work synergistically with its Lactoferrin content. Hi,I would like to enquire about the ingredients. I understand that Praventac is labelled as 'suitable for vegetarian'. Can I confirm if the whey protein used are coming from rennet-free process? About sixty years ago,in order to create a substitute for calf-sourced rennet,scientists succeeded in isolating other types of proteases produced through fermentation. The vast majority of cheese made in the United States now uses microbial proteases instead of animal rennet,and the key ingredient of Praventac™- Lactoferrin,is from the United States. These microbial proteases are produced through fermentation and are known as microbial proteases,using rennet from either fungal/bacterial sources or genetically modified micro-organism. They function very similarly to true rennet and eventually replaced animal rennet in most cheese production in the United States. Hi,I have come across a new website that posts some reviews on a few acne supplements,and the writer mention that the key ingredient Lactoferrin can cause diarrhea and skin rashes. Is this true? We have been informed by several customers who came across the same website content that you did. 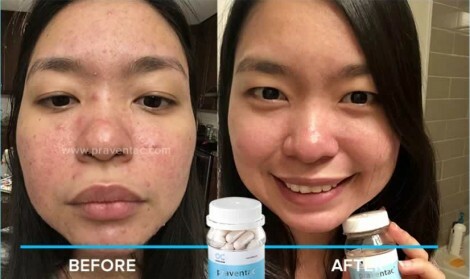 The truth is that this website,as well as a few other websites that contains the exact same content,was set up by one of our competitor who is trying to promote and sell their new and unknown brand of acne pills by taking advantage of the popularity and good reputation that Praventac has managed to earn and garnered throughout it's 10 years being in the market. The claims and accusations that are made by them are slanderous and baseless. Lactoferrin is indeed one of the key active ingredients of Praventac,but the Lactoferrin that we use in Praventac is an exclusive patent-pending blend of bovine lactoferrin that is recognised by the US FDA. Unlike other lactoferrin formulations in the market,it retains all the acne fighting benefits of lactoferrin without any traces of casein or any other components that would further aggravate your acne. Its meticulously precise usage of Lactoferrin together with a few other highly potent ingredients ensures that your skin receive maximum acne-fighting benefits without any of the potential downsides. Having been in the market for almost 10 years,Praventac™ constantly seeks to improve its formula based on real feedbacks from actual customers. The superior formulation of Praventac™ is many steps ahead of other Lactoferrin formulations in the market,as it provides not one,but at least five efficacious actions to effectively eliminate your acne problems from its root. 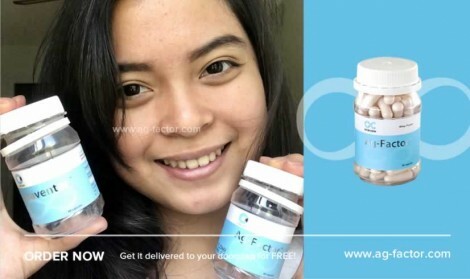 It is clinically proven to be more effective in clearing away acne vulgaris with its antimicrobial & anti-inflammatory activities,with a much higher ability to decrease skin surface lipids and sebum content,thereby decreasing inflammation and sebum-clogged pores that may become the breeding ground for p.acnes. The bottom line is that Praventac is definitely your safest choice of Lactoferrin supplement and highly effective acne solution.